2016 Honda NSX - full spec, details, pictures | What Car? After several delays, the Honda NSX will finally go on sale in 2016, with an expected launch time of the spring. 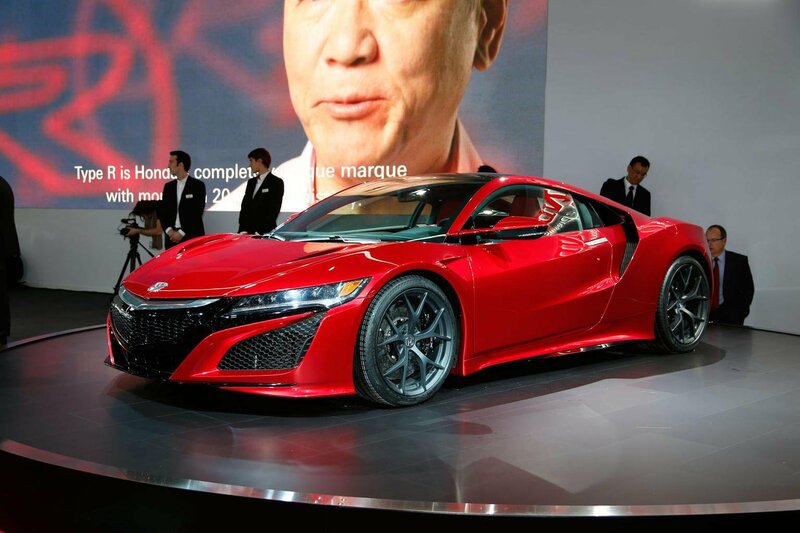 The NSX is Honda’s hybrid supercar that will arrive in the UK midway through 2016. It’s the second generation of the NSX; its iconic predecessor was launched 25 years ago. The NSX will come with a mid-mounted twin-turbocharged 500bhp V6 engine and three electric motors that offer a combined power output of 573bhp. One of the electric motors sits between the engine and gearbox and supports the acceleration, braking and transmission shifting performance. The other two motors are mounted on the NSX’s front axle, each driving an individual wheel. The petrol-electric hybrid powertrain drives all four wheels and is connected to an all-new nine-speed dual-clutch automatic gearbox. The NSX will have four switchable chassis modes: Quiet, Sport, Sport+ and Track. The top speed is rated at 191mph, while 0-62mph is covered in just 2.9sec. Economy figures have not yet been released. Full details of the NSX's equipment have not yet been revealed, but Honda has confirmed it will come with a set of leather and Alcantara-clad sports seats and a nine-speed automatic gearbox as standard. Order books will open in the summer for the US and first deliveries are expected towards the end of this year, but the right-hand-drive UK version won’t be on sale until midway through 2016. Honda has previously told us that the NSX would compete with the Ferrari 458 Italia in terms of performance, but be priced closer to the Audi R8. That would mean that the NSX is likely to be somewhere around £93,735-£126,835. Our Target Price for the R8 is a couple of thousand pounds cheaper than list price across the range, so a similar discount may be available on the NSX, but probably not until 2017. Honda has said that different bodystyles, namely a convertible, and higher power output versions of the NSX can be expected, but there has been no official announcement. The NSX’s natural petrol-electric supercar rival is the fantastic BMW i8 that has a combined power output of 357bhp, so if the NSX matches its predicted 550bhp and is in a similar price range then it will pose a real threat to the i8.